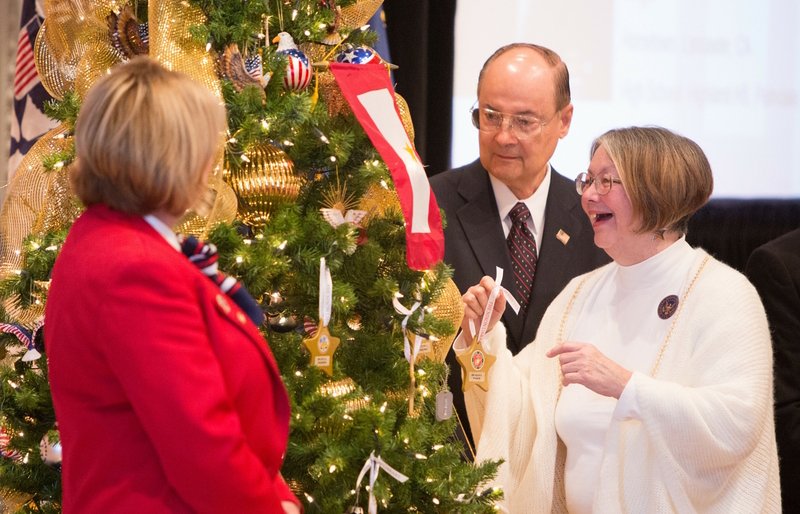 The Nixon Foundation will honor those armed service members who lost their lives in Iraq, Afghanistan and Vietnam at our annual Hometown Heroes Christmas Tree Dedication on Sunday, December 4th at Noon in the East Room of the Nixon Library. Each fallen hero will be recognized by name and families will receive personal ornaments to display on the special Hometown Heroes Christmas Tree. Special screening of They Were Our Fathers, a documentary filmed at the Vietnam Veterans Memorial in Washington D.C., as hundreds of children, now men and women, who lost their fathers during the Vietnam War honor their dads on Father’s Day with a special ceremony and remembrances left at The Wall. Both events are free and open to the public. Admission to the museum sold separately. More than 45 Gold Star families will attend and participate. These are families who have lost family members in Vietnam, Iraq and Afghanistan. This includes the family of the first American to lose his life in Vietnam, Technical Sergeant Richard Bernard Fitzgibbon, Jr. USAF. The personalized ornaments will be presented by NHRA funny car world champion “Fast Jack” Beckman. The program will be emceed by Air Force Col. (Ret.) Wayne Scott. For coverage opportunities, contact Joe Lopez at joe@nixonfoundation.org or 714-364-1147.